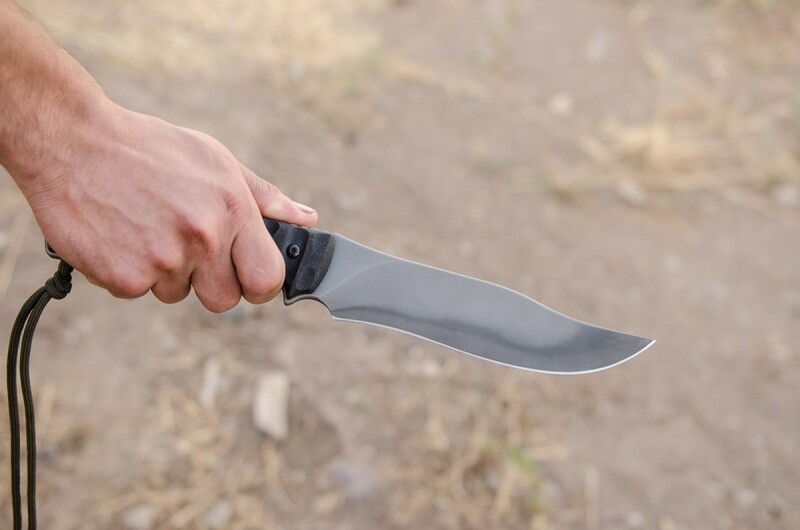 A new update to an old favorite. 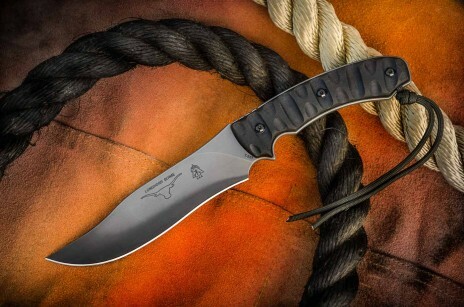 The Longhorn Bowie is now offered with our famous Black River Wash. 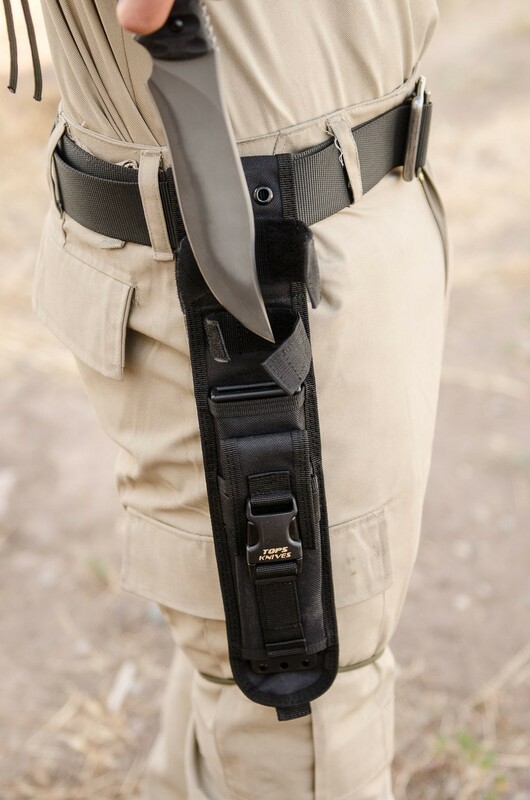 If you've been looking for a traditional style that won't let you down in the field, this is the one. 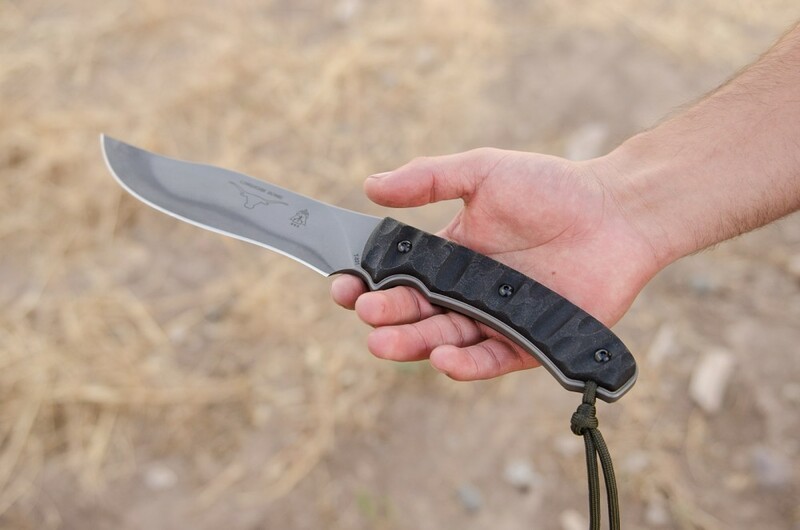 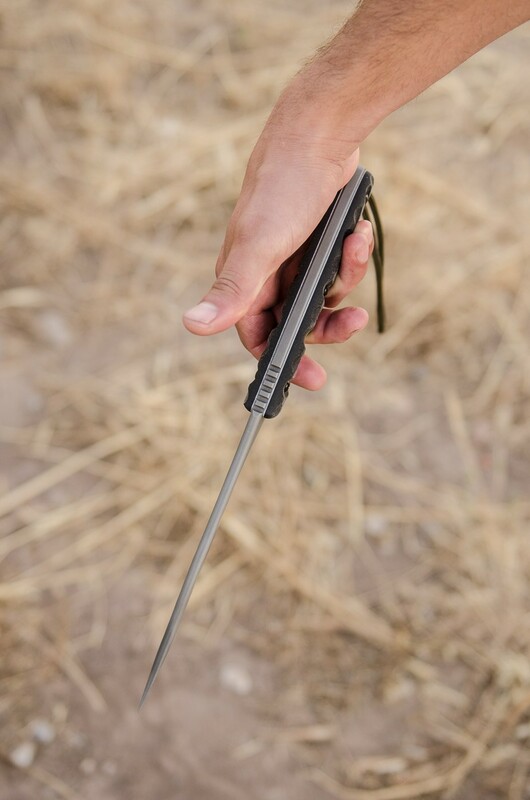 Hunters, campers, and bushcrafters will love the versatility this knife provides, including the finger choil so you can choke up and get small work done too. 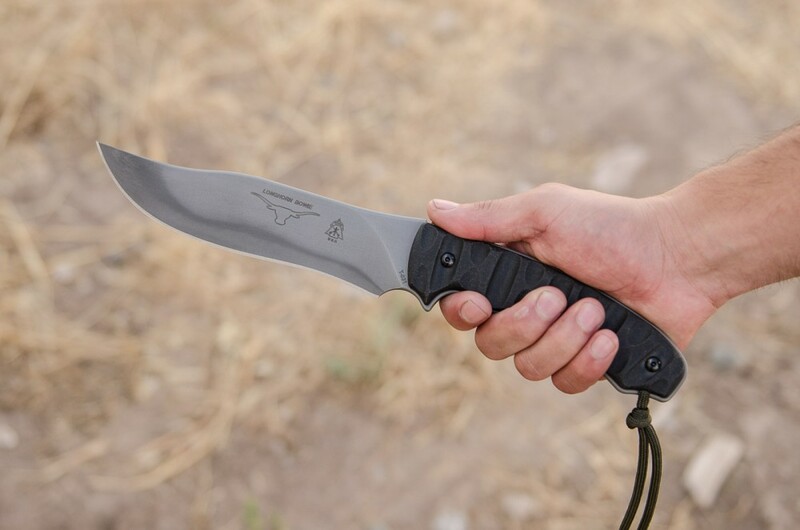 In self-defense and battle, the Longhorn Bowie delivers. 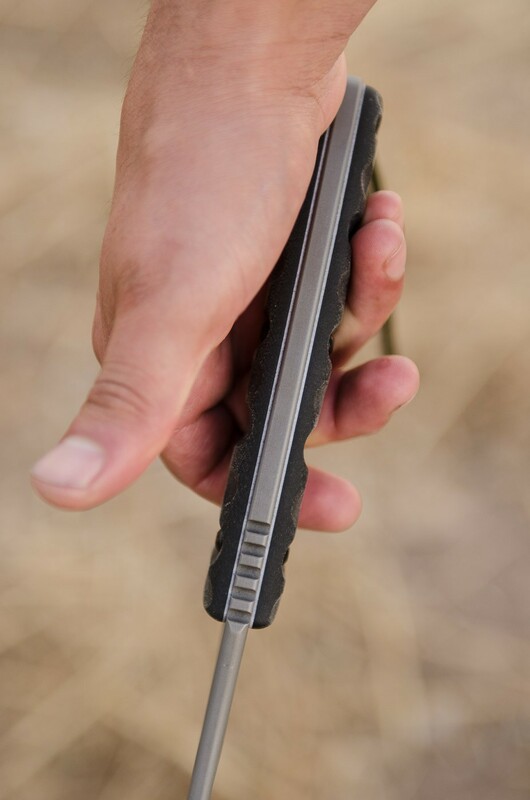 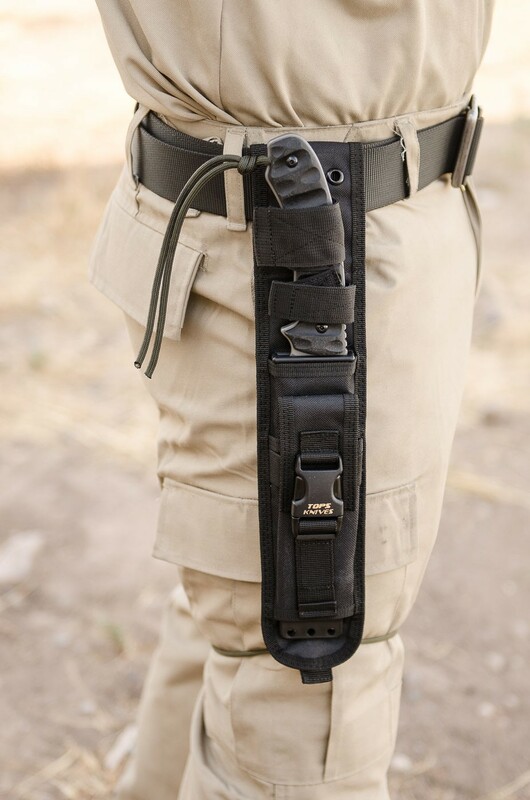 It has a great, ergonomic handle that is available in Rocky Mountain Tread as well. You don't have to be a Texan to own one or two of these very impressive knives. 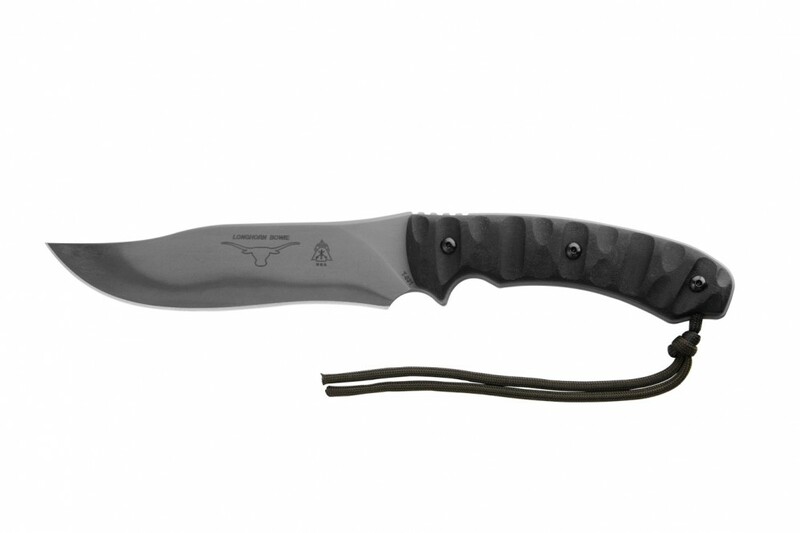 The long flowing design is backed up by a solid 1/4" of hard-core 1095 steel. 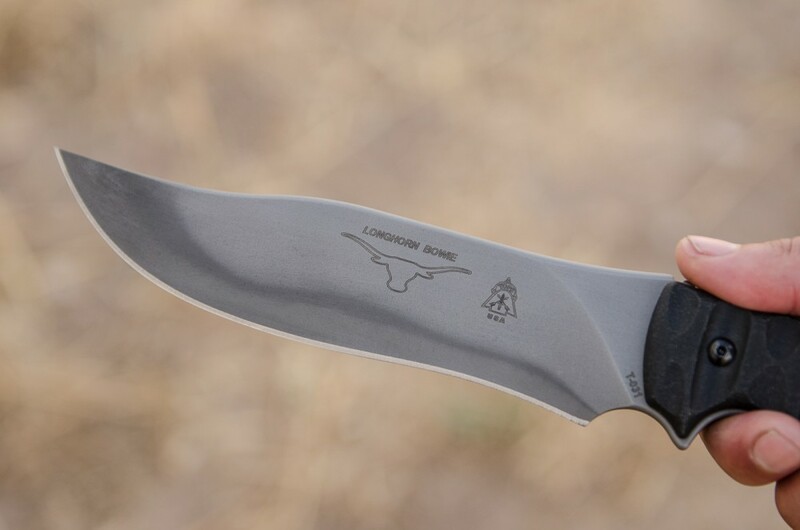 The Longhorn Bowie has shown to be a favorite for all "field types." 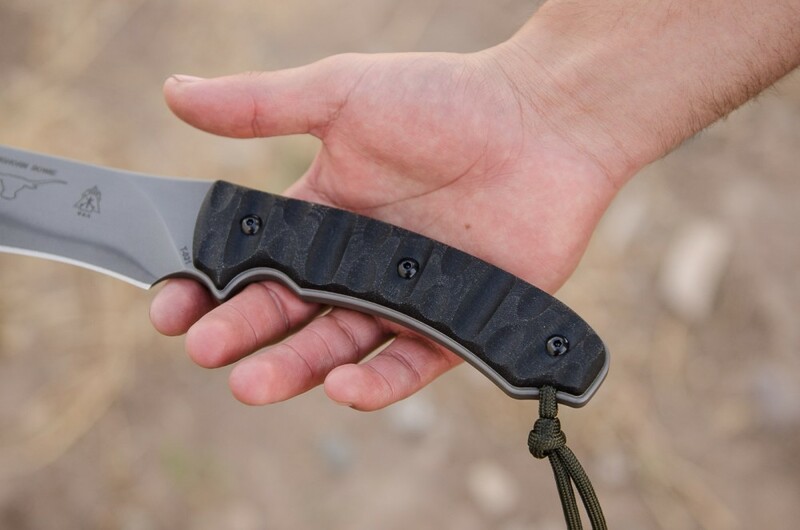 A long time proven design with fine execution by TOPS hand craftsmen.